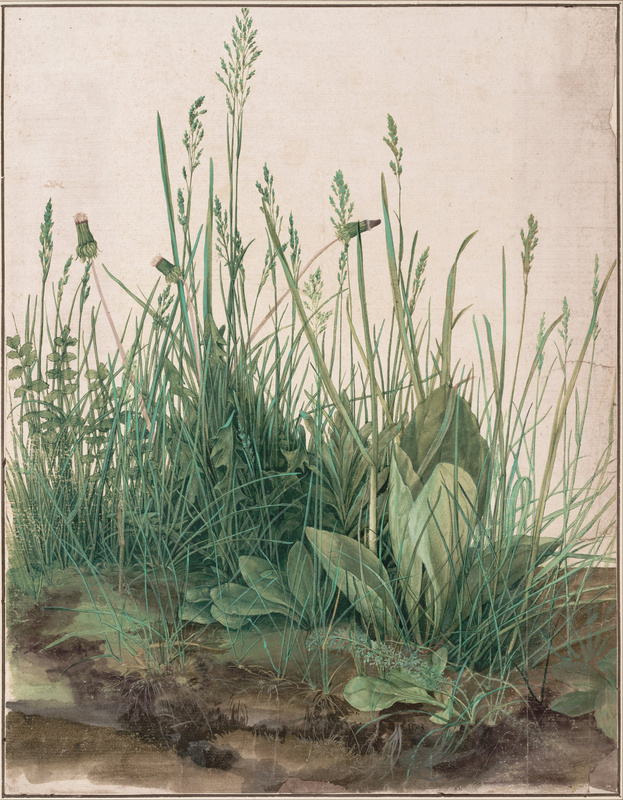 There are so many weedy grasses that we would be remiss if we let the Summer of Weeds go by without discussing at least one of them. 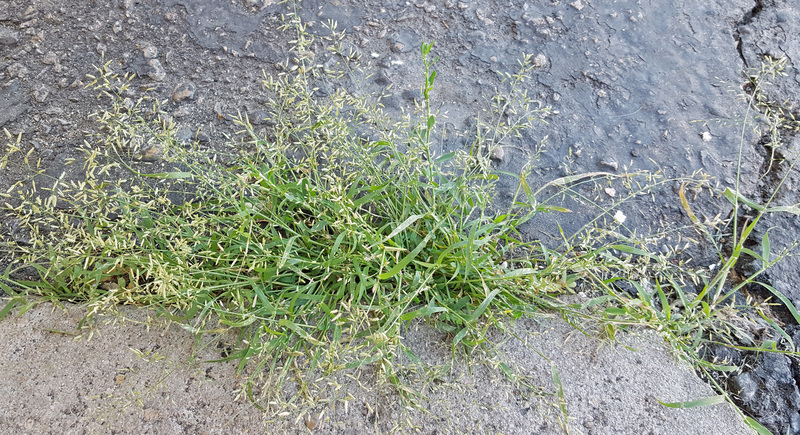 As obnoxious and ecologically harmful as some of these grasses can be, they are easy to ignore, simply because they are not as showy and eye-catching as other weeds. 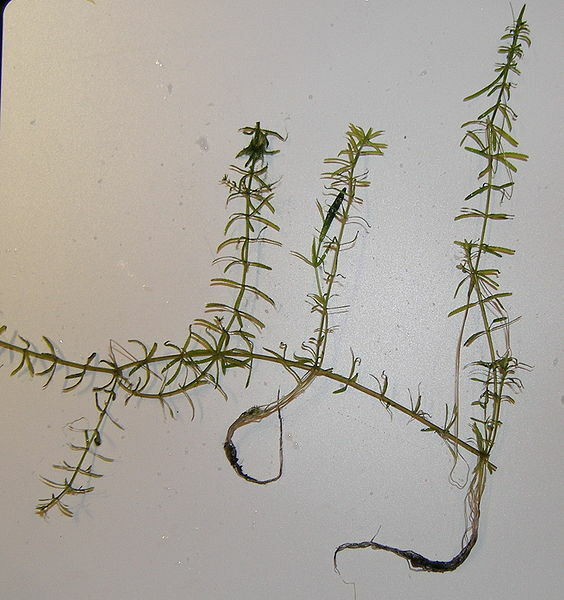 They can also be difficult to identify, particularly when they are not flowering. To the untrained and unappreciative eye, all grasses appear alike and most are fairly uninteresting. But some of them have great common names, like Eragrostis cilianensis, commonly known as stinking lovegrass, candygrass, or stinkgrass. 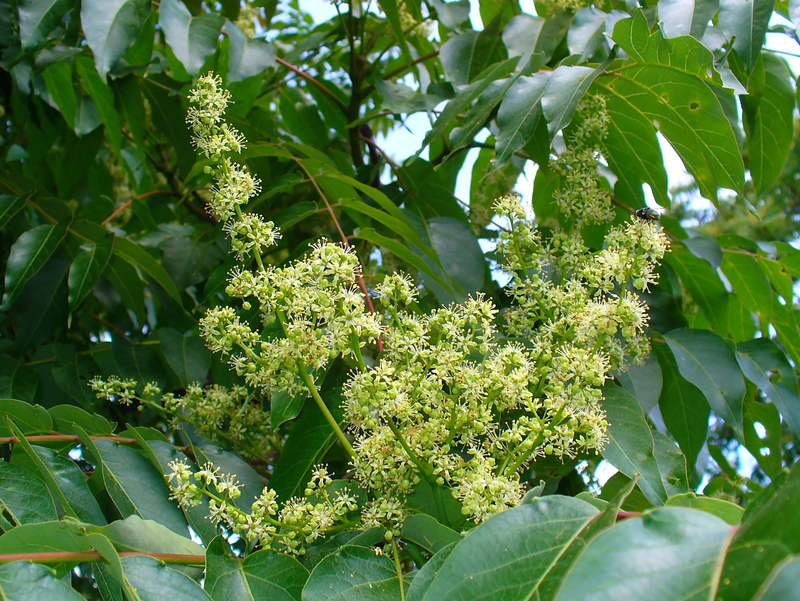 This plant earns the name “stink” on account of the unpleasant odor that is released through tiny glands in its foilage and flower head. Probably due to my poor sense of smell, my nose doesn’t pick it up very well, but from what I can tell it has a funky or, as Sierra put it, “musky” smell. I imagine if you were to come across a large patch of stinking lovegrass blowing in the breeze, the smell would be detectable. Eragrostis cilianensis is a short (up to two feet tall) annual grass from Eurasia and Africa. It is naturalized across much of North America. 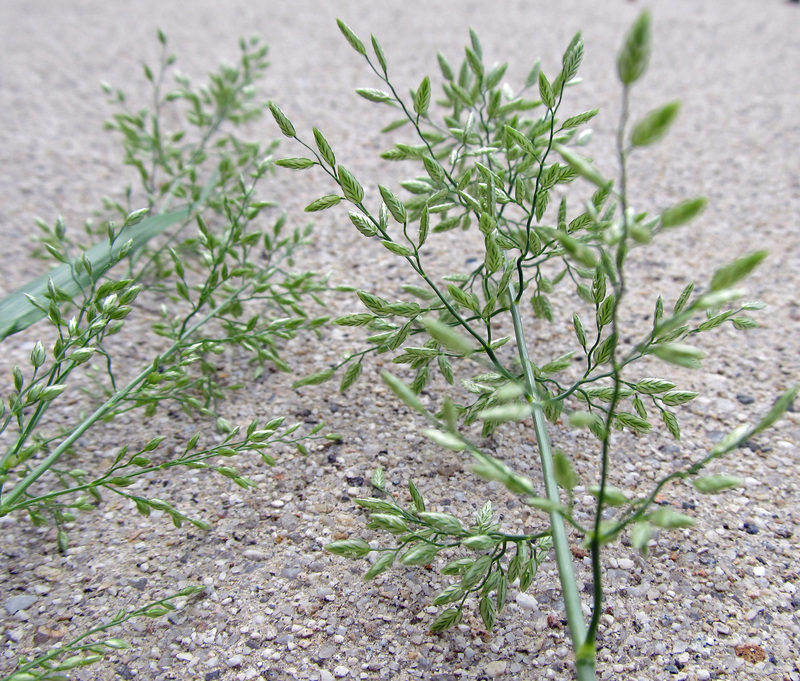 It has hollow and jointed stems with flat or folded leaves. Where the leaf blade wraps around the stem (an area called the ligule) there is a tuft of fine hairs. The inflorescence is highly branched, and the branches are lined with several compact, flat florets. The appearance of the flower head is highly variable, from tight and compact to spread out and open. Stinking lovegrass likes sandy or gravelly, dry soils in open, regularly disturbed areas with full sun. It is very drought tolerant and thrives in hot temperatures, which is why it is unfazed growing in the cracks of sidewalks and pavement. 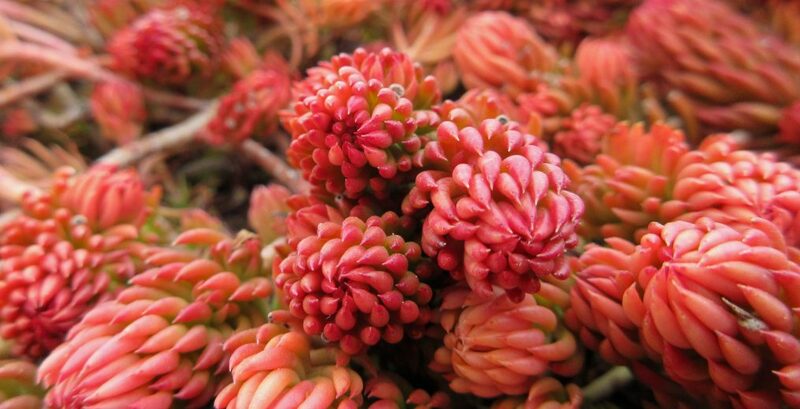 It can grow in rich, fertile soil as well, and so it often makes an appearance in vegetable gardens, agricultural fields, and ornamental garden beds. There are dozens of species in the genus Eragrostis, with representatives around the world. A few are native to North America, and a few others have been introduced. Provenance aside, all have the potential to be weedy. Eragrostis curvula, weeping lovegrass, is an aggresive invader in some regions. Eragrostis minor, lesser lovegrass, is similar to stinking lovegrass, not only in appearance but also in its provenance and status as a weed in North America. 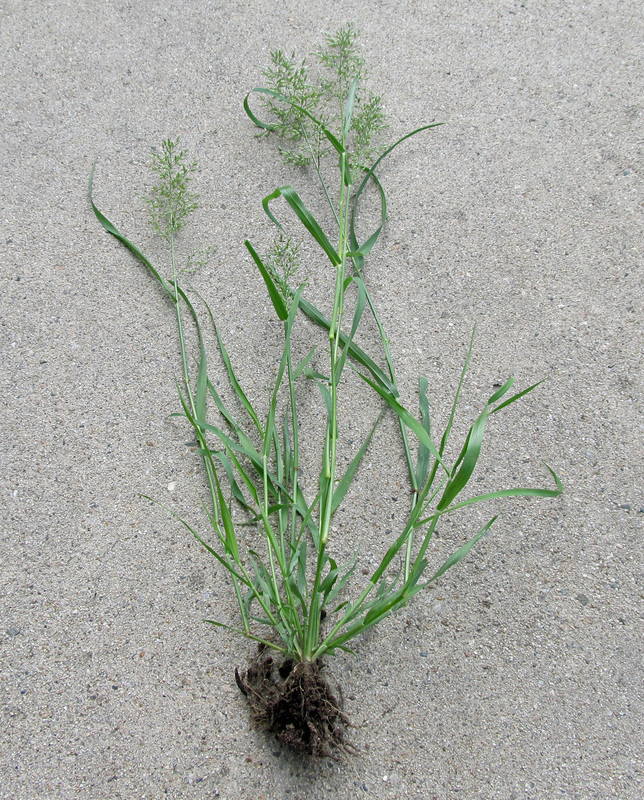 In Wild Urban Plants of the Northeast, Peter Del Tredici mentions two North American natives that can be weedy along roadsides and in vacant lots, sidewalk cracks, garden beds, and elsewhere: E. pectinacea (Carolina lovegrass) and E. spectabilis (purple lovegrass). Last but not least, Eragrostris tef (aslo known as teff) is a commonly cultivated cereal crop in Ethiopia and surrounding countries, the seeds of which are harvested to make injera. In the early 1800’s, seeds of purple loosestrife found their way to North America. They arrived from Europe several times by various means – accidentally embedded in the ballast of ships, inadvertently tucked in sheep’s wool, and purposely carried in the hands of humans. Native to much of Europe and parts of Asia and commonly found growing in wetlands and other riparian areas, purple loosestrife’s appealing spikes of magenta flowers, sturdy, upright growth habit, and ease of propagation made it a prized ornamental; its abundant nectar made it a favorite of beekeepers. During its first 150 years or so in North America, purple loosestrife became naturalized in ditches, wet meadows, and the banks of streams, rivers, lakes, and ponds while also enjoying a place in our gardens. Concern about its spread was raised in the first half of the twentieth century, but it wasn’t until the 1980’s after an extensive survey was done and a special report was issued by the U.S. Fish and Wildlife Service that attitudes about purple loosestrife shifted dramatically. At that point, it was no longer a benign invader and welcome garden companion. It was, instead, a biological menace that needed to be destroyed. Lytrhrum salicaria – commonly known as purple loosestrife, spiked willow-herb, long purples, rainbow weed, etc. – is an herbaceous perennial in the family Lythraceae. It reaches up to two meters tall; has square or angular stems with lance-shaped, stalkless leaves up to ten centimeters long; and ends in dense, towering spikes of pink-purple, 5-7 petaled flowers. The flowers attract a wide variety of pollinating insects – mostly bees – and afterwards produce small capsules full of tiny, red-brown seeds. 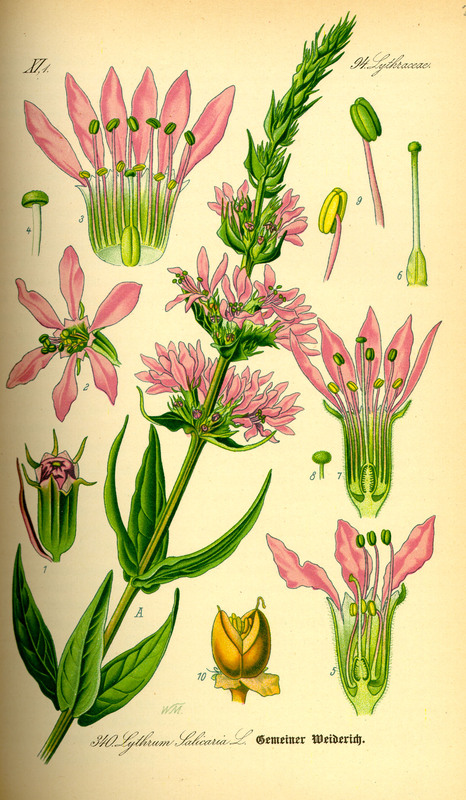 Charles Darwin thoroughly studied the flowers of purple loosestrife; he was intrigued by the plant for many reasons, including its heterostyly (a topic for another post). Purple loosestrife seeds remain viable for up to 20 years and are transported by wind, water, and in mud stuck to the feet of birds. Apart from seeds, populations expand clonally as root crowns grow larger each year and produce increasingly more stems. Broken stem pieces also take root in mud, creating new plants. Purple loosestrife’s ability to form expansive populations in a quick manner, pushing other plants aside and forming what appears to be a dense monoculture, is part of the reason it has earned itself a place among the International Union for Conservation of Nature’s list of 100 World’s Worst Invasive Alien Species. But is this ranking justified? In a paper published in Biological Invasions in 2010, Claude Lavoie compares news reports about purple loosestrife around the turn of the century with data presented in scientific papers and finds that the reports largely exaggerate the evidence. Purple loosestrife was being accused of all manner of crimes against nature and was being condemned before there was sound evidence to justify such actions. It began with the U.S. Fish and Wildlife Service’s special report published in 1987. According to Lavoie, “a long list of the impacts of the species on wetland flora and fauna [was] presented,” but the claims were not supported by observational or experimental data – “the impacts [were] only suspected.” Regardless, wetland managers began campaigns against purple loosestrife in order to convince the public that it was a Beautiful Killer. News outlets were quick to spread the word about this “killer” plant. When biological control programs began in the 1990’s, news outlets reported on their success. 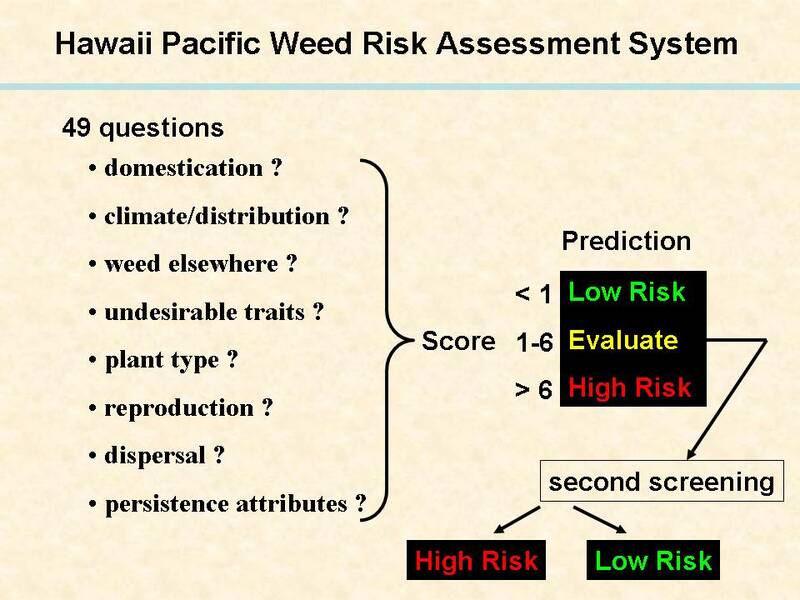 Little empirical evidence had been published on either topic, and debates about purple loosestrife’s impacts remained unsettled in the scientific community. 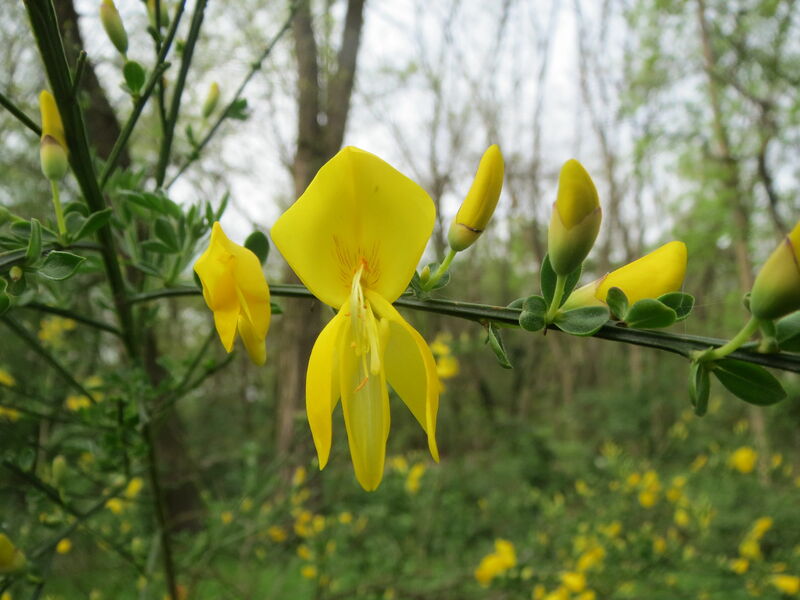 Research has continued regarding the impacts of purple loosestrife, and so Lavoie examined 34 studies that were published during the 2000’s in search of conclusive evidence that the plant is as destructive to wetlands and wildlife as has been claimed. Upon examination he concludes that “stating that this plant has ‘large negative impacts’ on wetlands is probably exaggerated.” The most common accusation – that purple loosestrife crowds out native plants and forms a monoculture – “is controversial and has not been observed in nature (with maybe one exception).” Lavoie finds that there is “certainly no evidence that purple loosestrife ‘kills wetlands’ or ‘creates biological deserts,'” and “there are no published studies [in peer-reviewed journals] demonstrating that purple loosestrife has an impact on waterfowl or fishes.” All other negative claims against purple loosestrife “have not been the object of a study,” except for its impact on amphibians, which had at that time only been tested on two species, one “reacting negatively.” Certain claims – such as purple loosestrife’s impact on wetland hydrology – should be studied more in depth “considering the apparent public consensus on the detrimental effects of purple loosestrife” on wetland ecosystems. 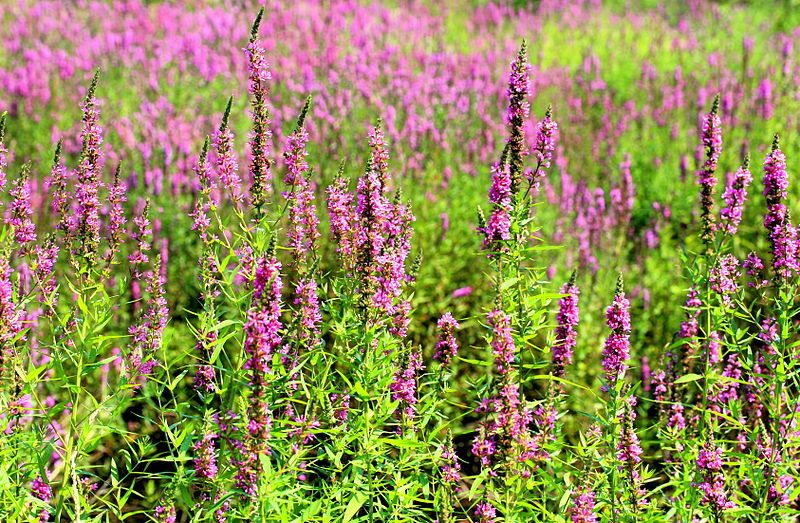 Purple loosestrife has found its way to nearly every state in America and most of the Canadian provinces. 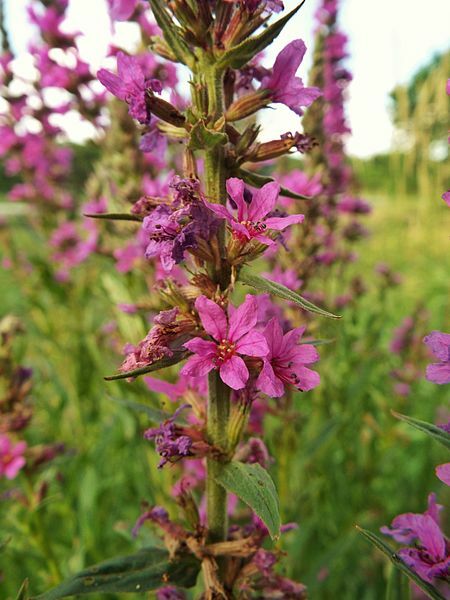 Peter Del Tredici writes in Wild Urban Plants of the Northeast, “Conservationists despise purple loosestrife, despite its beauty, and it is listed as an invasive species in most of the states where it grows.” By listing a plant as a noxious weed, landowners are obligated to remove it. Care must be taken though, as removal of purple loosestrife can result in a secondary invasion by noxious weeds with an even worse track record, such as common reed or reed canary grass. “Hardly a gain from the biodiversity point of view,” quips Lavoie. The situation is easy for environmentalists to deplore. This plant, like few others, stirs our alien prejudice. Our native cattails, for example, are almost as rudely aggressive and competitive in many wetland areas as purple loosestrife. Yet, because cattails obvioulsy ‘belong here,’ they seldom evoke the same outraged feelings against their existence. … With the spread of purple loosestrife, we have new opportunities to witness the phases of an ever-recurring ecological process. We can watch it affect, change, adapt, and refit both its own elements and those of invaded communities into new arrangements of energy efficiency. The point is that we might as well study this process rather than simply deplore it; we have few alternatives.